Simply publish the default WordPress search widget to the search position. 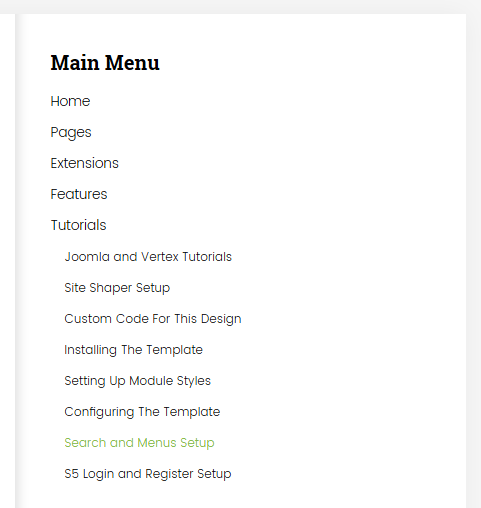 Publish any menu widget to the main body widget positions on your site. There should be no widget style applied. There are no menu widget applied.